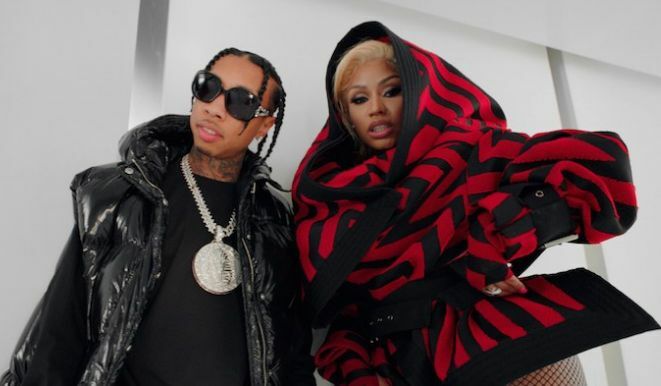 Both has been on a long way, Nicki Minaj and Tyga in some few years never tap on each other even when she was working on her fourth album Tyga was not featured as one of those who contributed on queen album.Both are once maintain their mate on YM but beef pushed him out to G.O.O.D Music where he is now excel as he want. Watching the the Drip song song video, you will the young money rapper kill it with what she has to offer for Tyga. Tyga on his six long hair, putting on a shade and the Chun Li rapper up with black red blanket. The video is directed by Tyga and also Arrad who contributed in the directing of the video as they rock white cloths. Watch below and share.